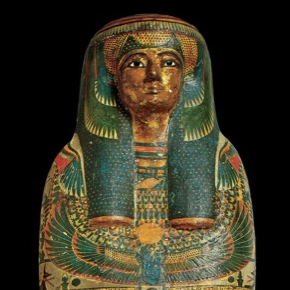 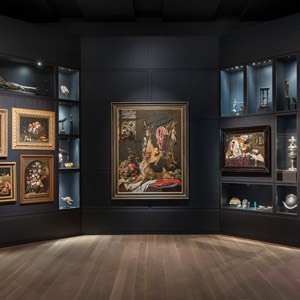 This monumental piece (21.45 metres high) will open the exhibition route along Sherbrooke Street West in front of the MMFA’s Michal and Renata Hornstein Pavilion. 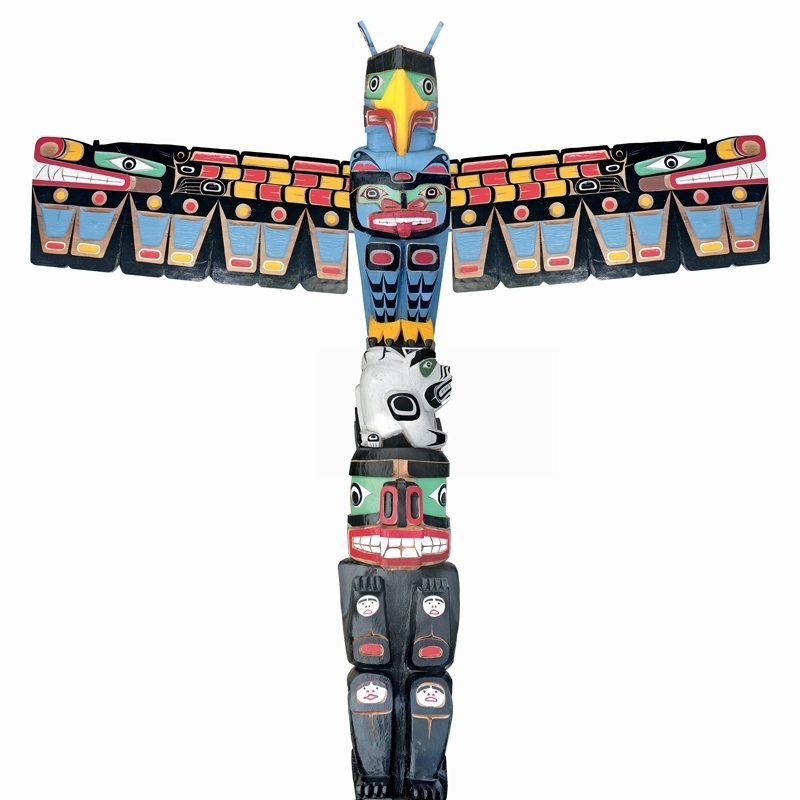 The totem pole is a tribute to the First Nations children, of whom the artist Charles Joseph was one, who were taken away from their families and sent to the residential schools of religious communities. 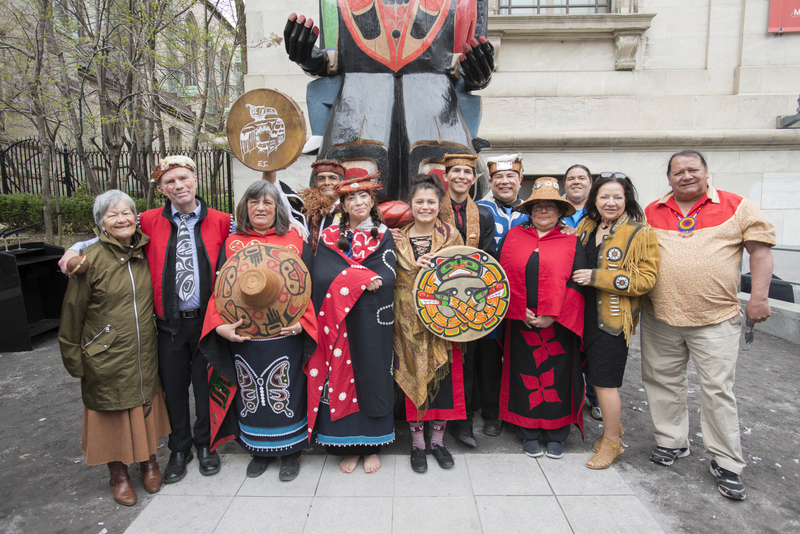 On May 29, 2015 the Canadian government acknowledged that these children had been, between 1820 and 1996, the victims of a cultural genocide. 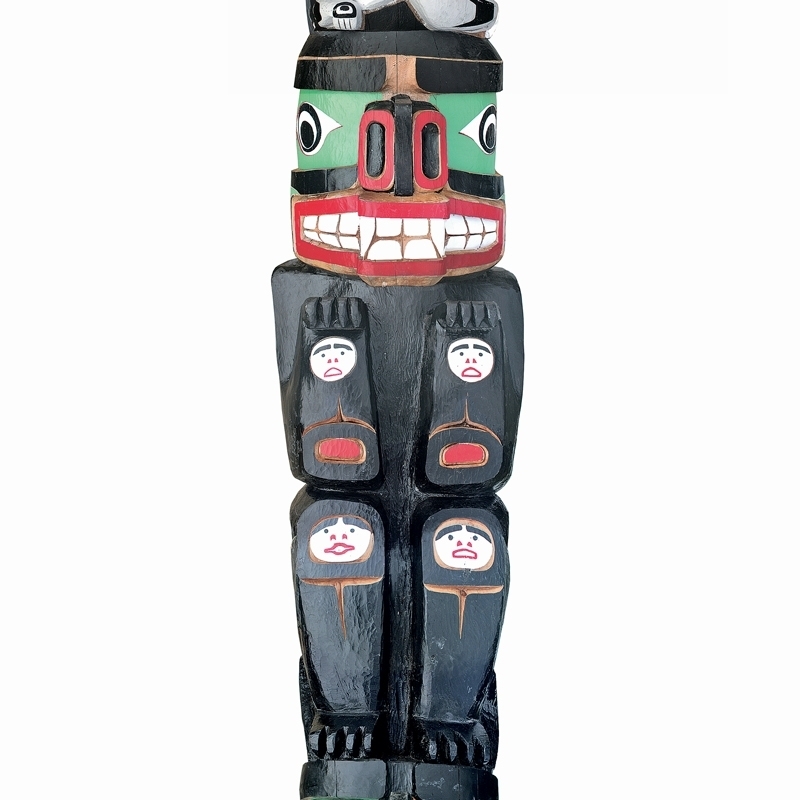 The totem pole is a symbol of reconciliation and commemoration. 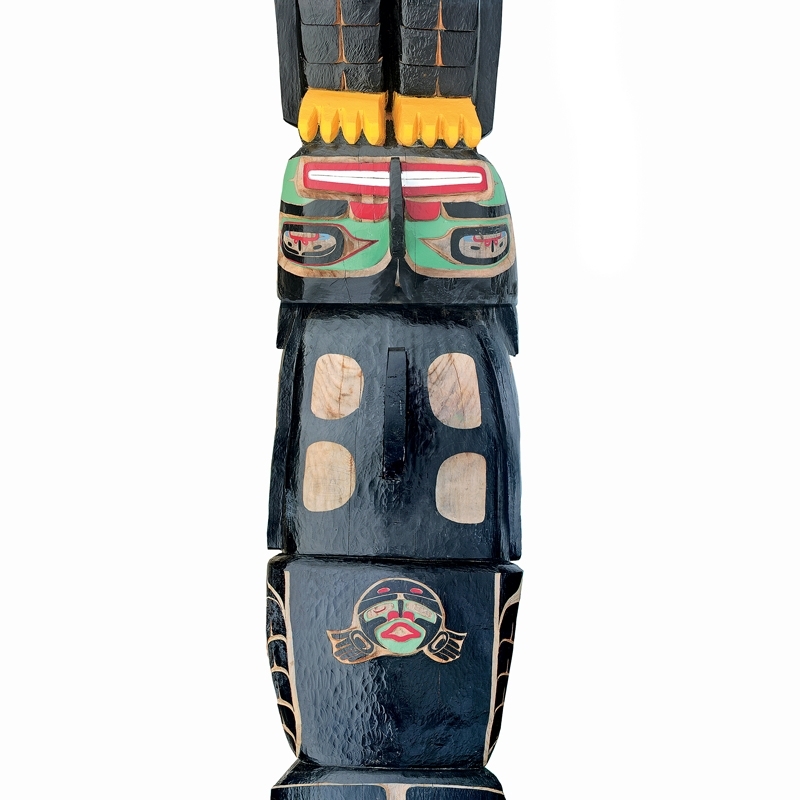 It embodies a strong sense of the identity and pride of the Kwakiutl Nation of the West Coast of Canada. 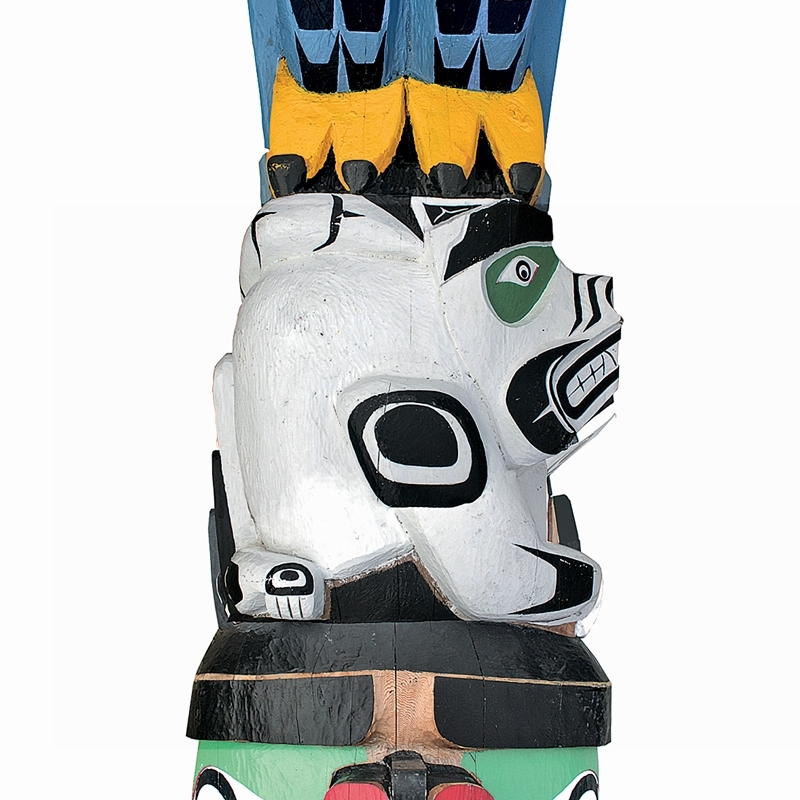 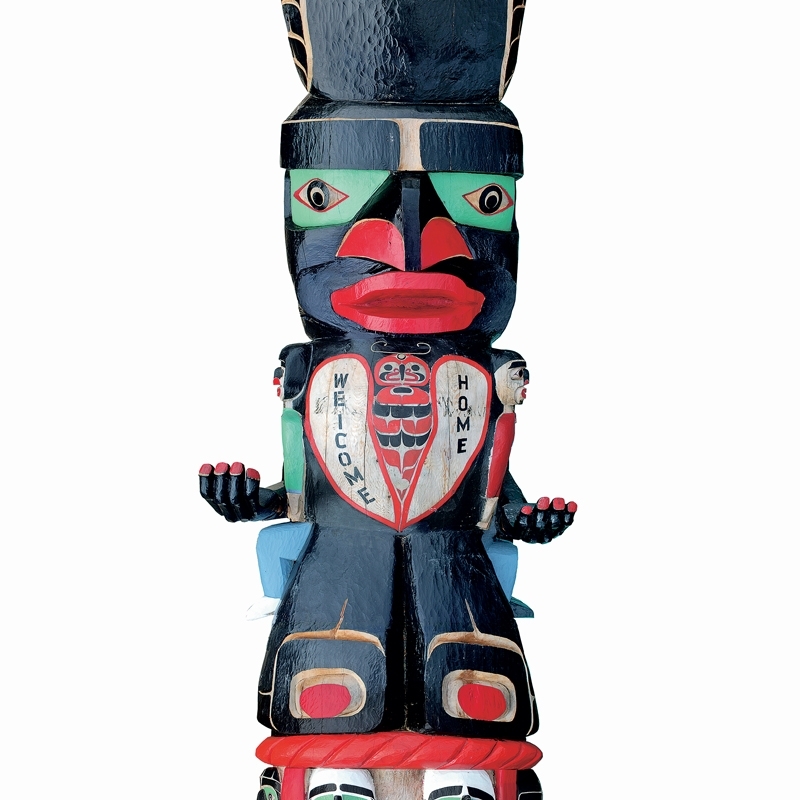 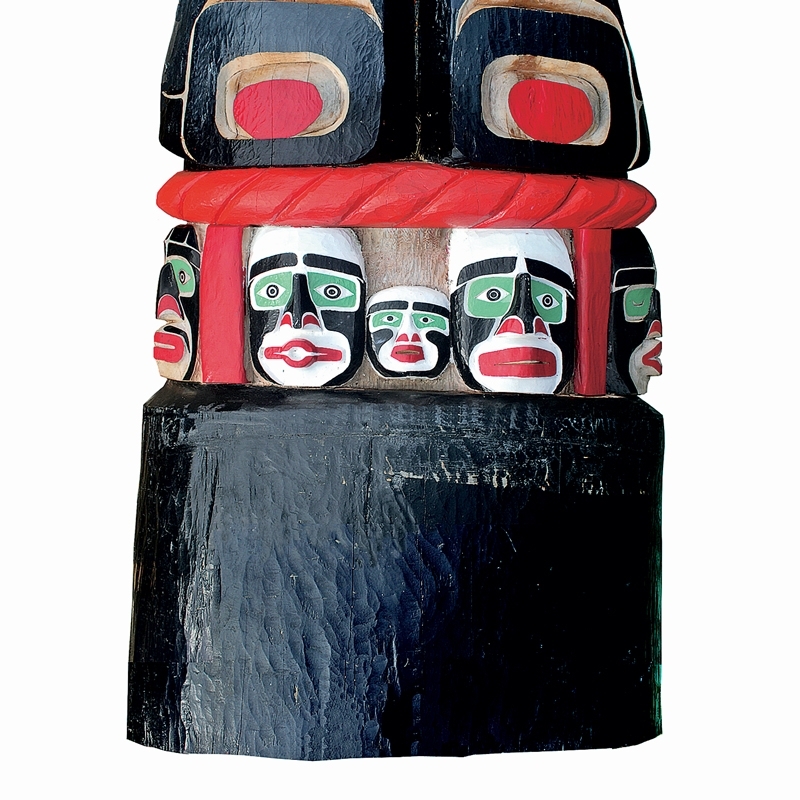 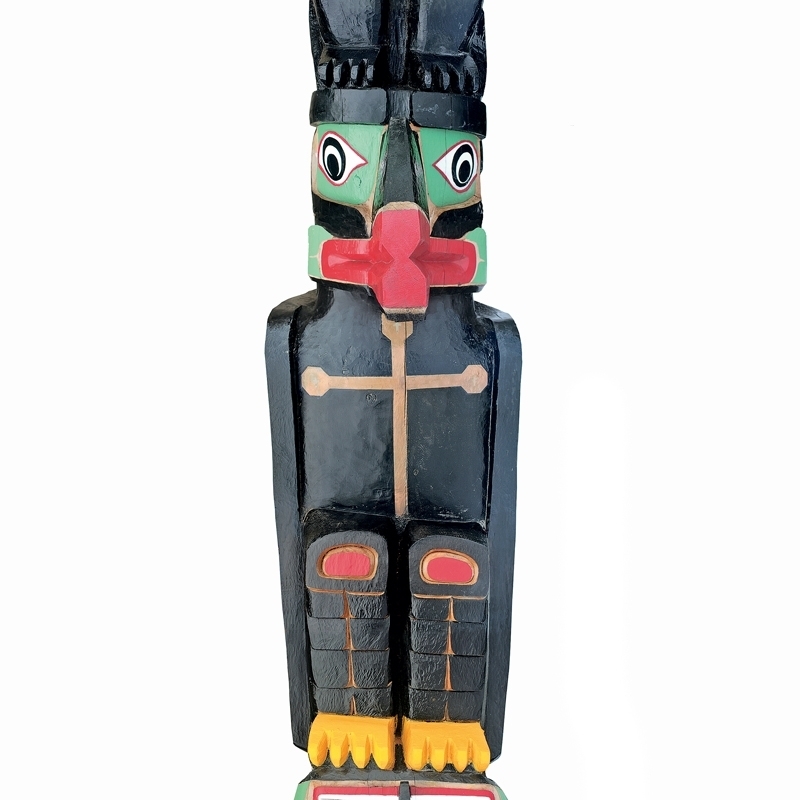 Joseph’s Residential School Totem Pole depicts, from the bottom to the top: the members of the family of the sponsor of the Totem; the cedar ring symbolizing safety; the wild woman responsible for the traditional culture; the killer whale, the guardian of memory; the crow representing the alliance of Church and State; the bear for its strength and wisdom; the Arctic fox, the witness of the past; the Kulus, the great black ravens that according to the legend created the islands of the West Coast of Canada by dropping pebbles into the ocean; and at the top the two-headed snake with its wings unfurled in the shape of a cross.